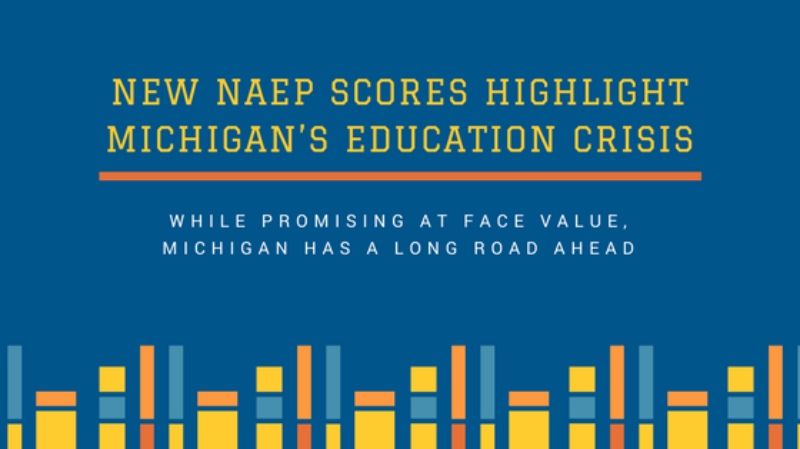 Today, the 2017 National Assessment of Educational Progression (NAEP) scores were released. The scores reveal a slight increase in some categories, stagnant scores in others, and overall, continued cause for alarm for business leaders, parents, educators and policymakers. At face value, the numbers are reassuring; any amount of improvement is encouraging. However, a deeper look reveals that we still have a long road ahead of us. For example, Michigan’s fourth-grade reading had the biggest jump in rankings, but this is because other states’ scores are dropping. Looking at eighth-grade math scores, they have remained stagnant for the last 14 years. The most troubling finding from the latest data set is that Michigan ranks last in the Midwest in every category. Our future relies on a highly-skilled workforce with companies willing to invest in our great state. These concerning results join recent reports and add fuel to the call to action. Michigan must replicate the best practices and reforms of states who are continuously improving. Our students deserve it and we need our elected leaders to act. Questions or interested in getting involved? Contact Alexa Rae Malesky, Public Policy Coordinator, at 616.771.0311 or maleskya@grandrapids.org.